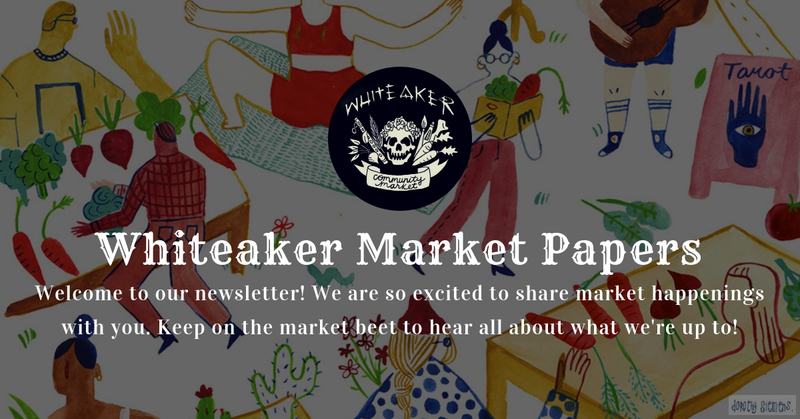 Stay in touch by signing up for our weekly newsletter to Hear about what vendors, yoga classes, music performances, workshops, special events, & more will be happening at upcoming markets! Winter Market season is here! Wondering where you can shop small & local this holiday season? 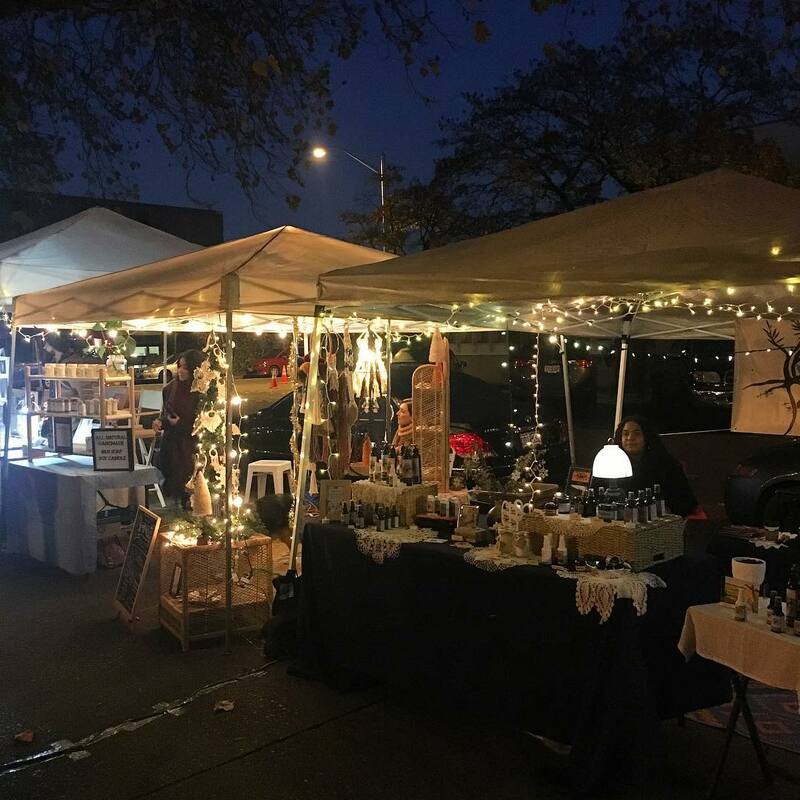 Check out our two upcoming Whiteaker Community Market winter markets on December 1st and December 9th, featuring unique artisan vendors that you won't find elsewhere! 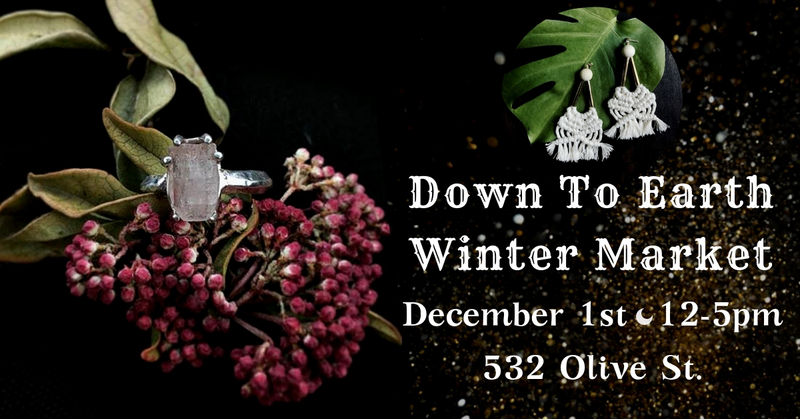 Join the vendors of the Whiteaker Community Market at Down To Earth on Saturday December 1st for an afternoon of winter festivities! 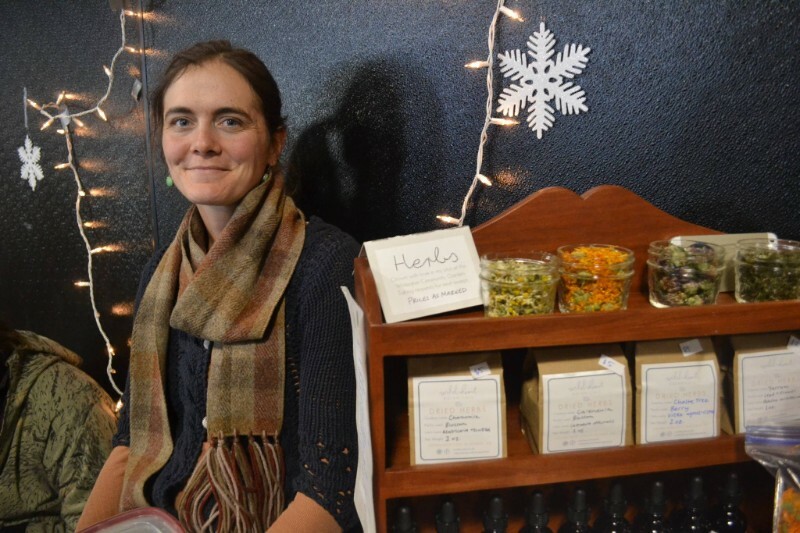 Shop from Down To Earth's fantastic holiday selection of home and garden goods, plus a very special winter pop up market with several Whiteaker Community Market vendors. During this event, please enjoy free wine tasting and bottles for sale from the Oregon Wine LAB! 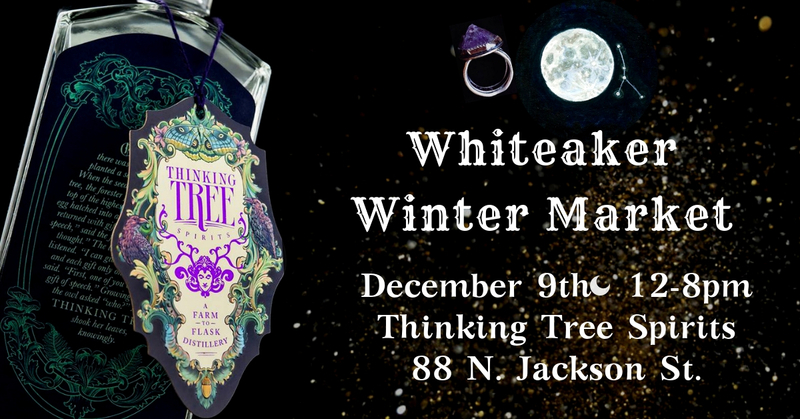 Join the vendors of the Whiteaker Community Market again for the second annual Whiteaker Winter Market at Thinking Tree Spirits! 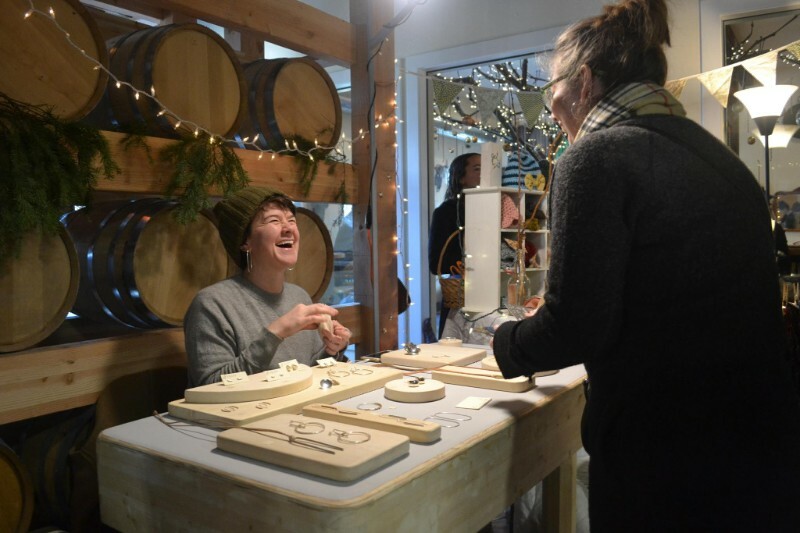 Sip on delicious locally made cocktails while you shop from several unique neighborhood artisans, jewelers, herbalists, & healers. Featuring live musical performances by MOONWΔTER and The Gabe Schliffer Band. The El Quetzal Food Truck will be parked in front of Thinking Tree Spirits serving delicious Guatemalan food and snacks. 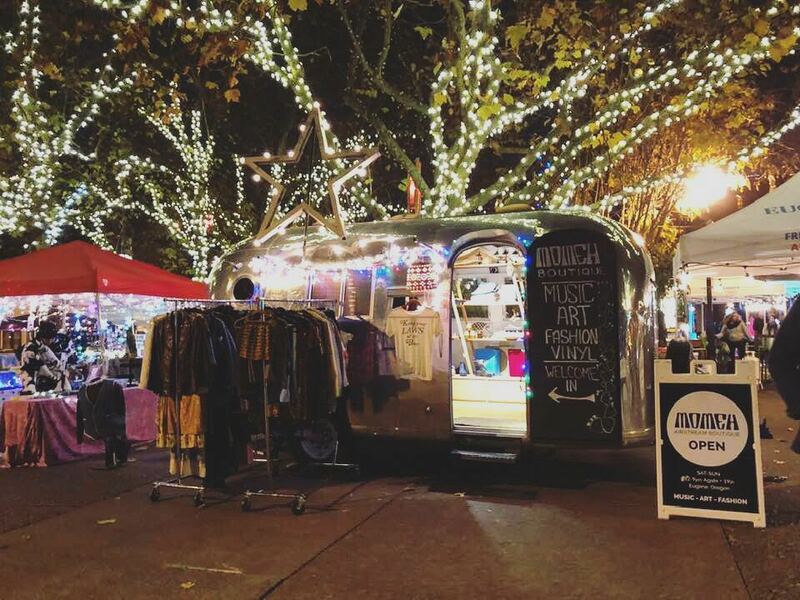 Thanks to everyone who came through our flash pop up market during Light Up Downtown on Friday November 16th. 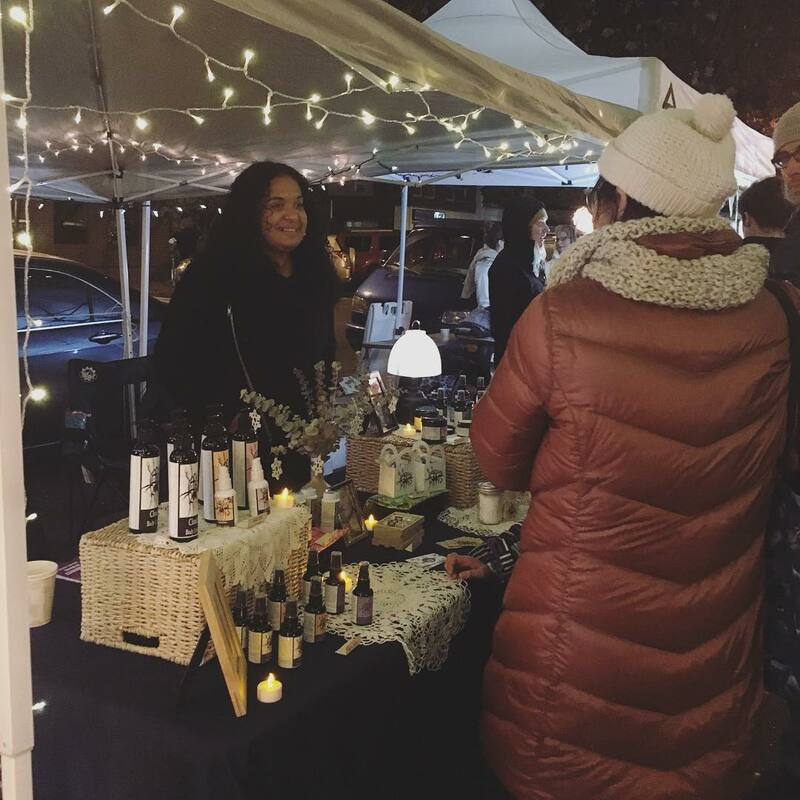 It was so fun for us to do a night market, and reminded us of our very first season when our weekly summer market took place in the evening. We feel inspired to continue to host evening markets! Thanks for reading & see you at the winter markets!